and more common to be considering solar panels for your home. The idea of an alternative energy source for a home is increasingly attractive, especially as solar energy costs drop lower and lower each year. The technology and energy efficiency of solar power continues to advance, and more and more people adopt a home solar system to reduce their energy bill; or to completely replace dependence on the grid and on traditional sources of energy. The time has never been better to consider buying in together with the solar energy crowd and abandoning dependence on harmful fossil fuels for energy. Does your roof face the sun for enough hours of the day? 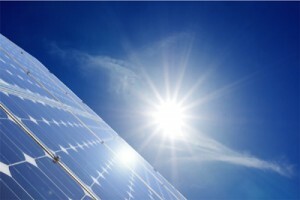 Obviously, solar panel systems require sun light to be used effectively. Ideally your roof will face north so as to receive as much direct sunlight as possible. Is your roof large enough and flat enough for solar panels? While it is possible to install solar panels on the ground, it is much safer and more effective and efficient to install them on a roof. Depending on what kind of system you desire and how much energy you need from it your roof space requirements may be different, but be sure so check that you have enough space. And finally, shade. Even if you live in a sunny area where the sun shines all day every day it is possible for a tree to block out the sun rays and reduce the effectiveness and worth of your solar panels. If a tree or chimney is shading much of your roof than this will make it difficult to get much use out of solar panels for your home. If you are still uncertain of whether you are a good candidate for solar panels for your home then it is worth your time to contact a solar panel installer and have them come and survey your house. They will be able to answer any questions you may have and then help you make a decision about solar panels for your home. If you’ve passed the above check-list then you are no doubt thinking about the next step. When choosing solar panels for your home it helps to understand the three basic types of solar panels. Monocrystalline: these are the most efficient panels, due to the fact that the production process results in a more efficient alignment of the silicon crystals. However, they are also the most expensive. Polycrystalline: these panels are less expensive, but are also less efficient. However, in more cloudy situations they might function better because of their more haphazard alignment of the sun absorbing silicon crystals. Hybrid: A hybrid panel combines the usual photovoltaic cells made of silicon crystals with a layer of thermoelectric material which can increase the efficiency of these panels. This is the least common type of panel, however. Armed with this knowledge the consideration of solar panels for your home becomes much more accessible. When you’re ready to move forward with this project, it is time to approach solar panel companies. Any further questions you have should be able to be answered by the professional you hire, and they are likely the best candidate for guiding you through the process of purchasing solar panels for your home.